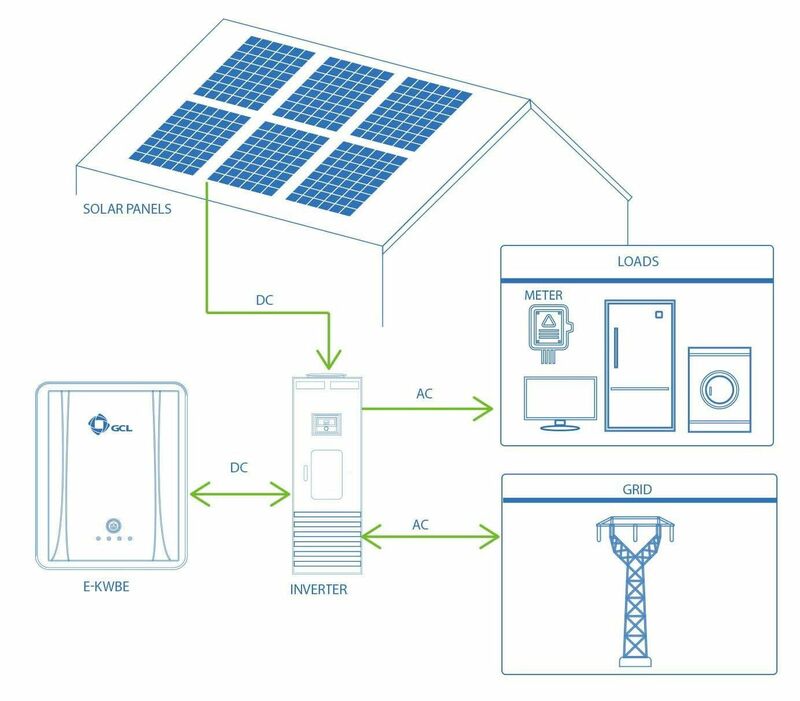 Home » How Solar Batteries Work? 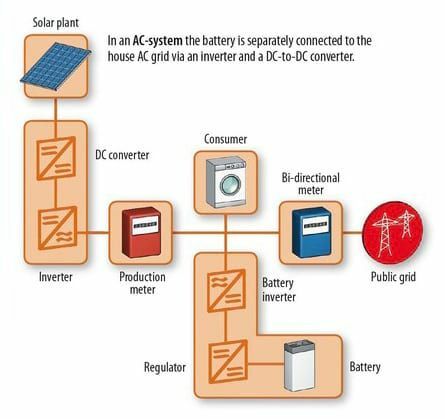 In a nutshell, battery storage works by storing the excess solar energy from the PV system for night time usage. With the low rates in current export tariffs, this creates more savings and becomes a very beneficial long term investment. Another salient feature of storage systems is that it protects your house from power outages and helps reduce dependence on grid supply. One of the most cost-effective systems available in the market right now, with batteries installed between the panels and inverters storing DC power directly from the panels. These are not capable of storing power from the grid. These types of battery are most appropriate when the purpose is to store excess solar energy for night time consumption. But these systems do not provide protection from grid outages. So, if the grid goes down due to any reason, the system also stops working. Usually these types of storage can store energy from solar generation as well as from the grid. They are able to provide off-grid power supply even during outages. Comparatively expensive, these allow energy to be drawn from other sources as well. One example is that it can enable home owners to draw power from the grid during lower power tariff time slots. Bi-directional in nature and make use of grid power. Uni-directional and can only store energy from solar panels. Protection from grid failure System stops working when the grid connection is off. As the name implies these are a combination of the above two types. 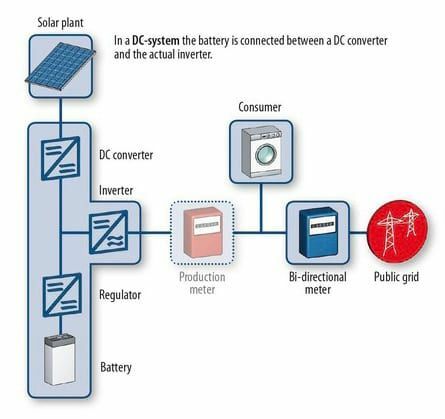 They allow the power to be saved into batteries without unnecessary conversions like a DC coupled storage and at the same time it can provide protection from grid outages. They have the highest costs in market. Hybrid inverters are programmable. But one key advantage is the smaller efficiency drop over time compared to the alternatives.